It seems I've peaked as a lighter shade gal for the moment and I decided it was time to go back to brunette... but I couldn't part entirely with my pink overlay. That's when it hit me: ombre! I could blend in my roots with a shade close to my natural colour and keep the pink tips. To be honest, I had no idea how to create an ombre effect in reverse at home, so I fell back on my trusty friend, Google, and found a great video showing how to achieve the look. It looks soooooo much better (especially since I have to have my photo taken on Thursday for a new exciting project - which I will be telling you about shortly!) It's also so long now! Can you believe a little bit over a year ago it looked like this?! Crazy town! Patience definitely does pay off. What do you think? 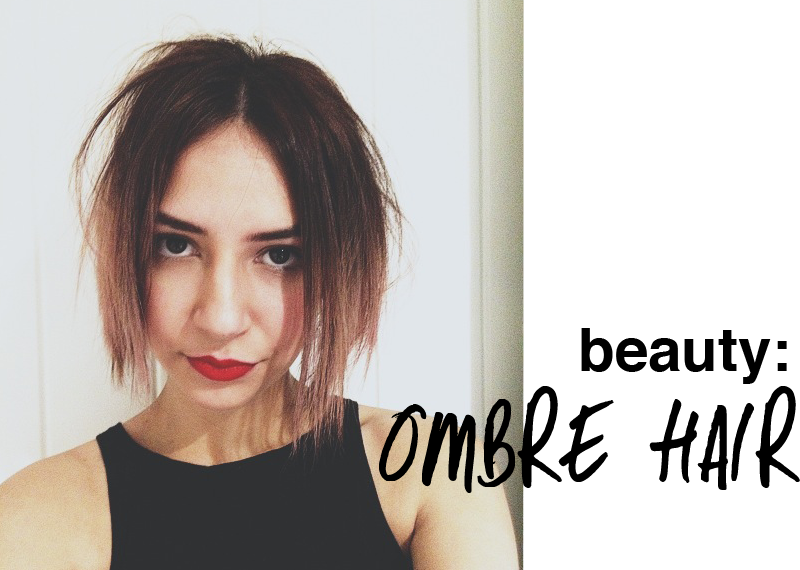 Do you love ombre or are you over it? OMG!!! LOVE IT!! It's a DIY!? 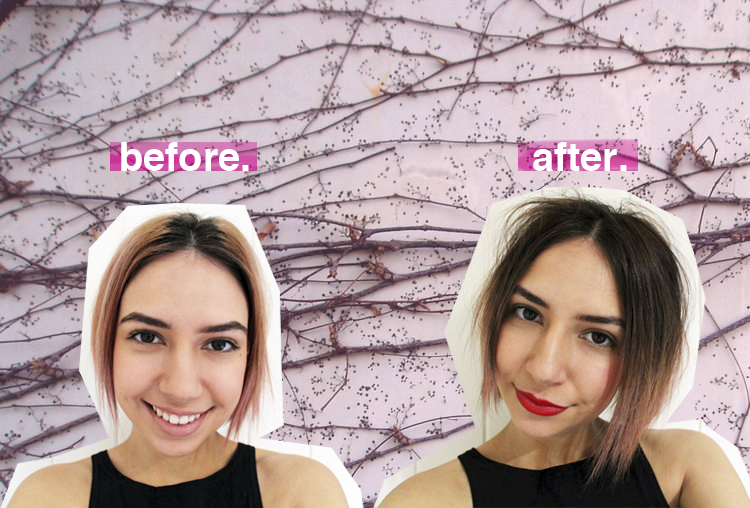 I've been wanting to do a DIY on my own hair! Hahahhaha doubt it'd look as good ><"
Sorry for the long response, I didn't see your comment :( Thanks for much for the kind feedback!